#<b>Frequently Asked Questions</b> ## Permission form <b>Students and parents must complete our Splash! parental permission form in order to attend the program. Please click [here](https://cornell.learningu.org/download/6cc1f0eb-5244-40cb-8163-c19750cacc06/SplashatCornellLiabilityWaiver.pdf) to download and fill out the form if you have not done so during registration already.</b> <br/> <b>Q: What time should I get to campus? </b> <br/> A: Check-in will open in the Plant Sciences Building lobby at approximately 9:00 a.m. and run until the beginning of our student-only keynote presentation. Students that arrive late should come to our Help Desk, permanently located in the Plant Sciences Lobby, for check-in. <b>Q: How do I get to Cornell?</b> <br/> A: You can find maps and directions on [Cornell’s website](http://www.cornell.edu/about/maps/). <b>Q: Where should I park?</b> <br/> A: Hoy Garage, located <a href="https://goo.gl/maps/v7xVE5eyMuq"> here</a>, is the University's preferred location for weekend guest parking. If you've never driven on campus before, we recommend arriving early and consulting Cornell's transportation page <a href="https://www.cornell.edu/visit/parking/"> here</a>. <b>Q: What should I bring?</b> <br/> A: Please pack a snack and a refillable bottle of water (and your sense of adventure!) - we'll provide shirts, notepads, pens, schedules, and more. Additionally, make sure that you've completed your liability form electronically and have paid through PayPal already, or that you are bringing the day-of fee ($30) in cash on the day of the program. Unfortunately, the University does not allow us to accept any students for whom we do not have complete liability paperwork on file. <b>Q: Will lunch be provided?</b> <br/> A: Splash will be providing lunch for students. There will be a vegetarian option. If you have specific dietary needs please let us know. For parents, there are many excellent places to eat both on and off campus. We at Splash recommend the School of Hotel Administration's [Taverna Banfi](http://www.tavernabanfi.com/index.cfm) on campus, but Ithaca has [many options](http://www.visitithaca.com/dining/) to offer as well. <b>Q: Is financial aid available?</b> <br/> A:Yes! Please fill out the financial aid application during student registration. <b>Q: Where is this program being held?</b> <br/> A: All Splash! Fall 2017 classes and events will be in three connected buildings on the Cornell Ag Quad, namely: Warren Hall, Mann Library/Hall, and the Plant Sciences Building. Student schedules will include locations for every class. <img src="https://cornell.learningu.org/download/67f3a62b-6a92-49db-8aaa-92fe9f6357d2/Building%20Location%20Slide.jpg" alt="map_of_ag_quad"> <b>Q: Are my parents supposed to stay?</b> </br> A: Our protection of minors/risk management policies prevent us from allowing parents/guardians to freely circulate in our Splash! lunch and classrooms. We welcome all adults to come with their students to check-in, and to take part in our very exciting guardian program, which will begin at 10 a.m. in Weill Hall. Parents are also welcome to explore Cornell and Ithaca, and we are happy to recommend some of the must-visit places in town. <b>Q: Can I switch classes during the program?</b> </br> A: Yes! If you'd like to switch classes, please make your way to the Help Desk (in the Plant Sciences Building lobby, right by check-in) for assistance. <b>Q: I requested financial aid but haven't received any confirmation yet.</b> </br> A: Please contact us at <a href="mailto:splashcornell@gmail.com">splashcornell@gmail.com</a> with as much information as possible, and we will get right back to you. <b>Q: What should I do when I'm done with all my classes?</b> </br> A: We'll be collecting feedback forms and giving out cookies in Plant Sciences 233 (our keynote location), at the end of our program at 5:50 p.m. If you'd like to be picked up early, please arrange to meet in the Plant Sciences Lobby. <b>Q: I've never been to a Splash! event before... help! </b> A: Have no fear! Splash! is meant to be a fun experiment in learning what you want to, just because you want to. If you've never been on a college campus before, the buildings and students can seem intimidating at first, but you'll find that the areas we've picked at Cornell aren't too hard to navigate and that there's always a volunteer in a bright red Splash! close by. Above all, remember Douglas Adams' timeless advice (Don't Panic!) and that there's never such a thing as a silly question. See you soon! Students and parents must complete our Splash! parental permission form in order to attend the program. Please click here to download and fill out the form if you have not done so during registration already. Q: What time should I get to campus? A: Check-in will open in the Plant Sciences Building lobby at approximately 9:00 a.m. and run until the beginning of our student-only keynote presentation. Students that arrive late should come to our Help Desk, permanently located in the Plant Sciences Lobby, for check-in. Q: How do I get to Cornell? A: You can find maps and directions on Cornell’s website. A: Hoy Garage, located here, is the University's preferred location for weekend guest parking. If you've never driven on campus before, we recommend arriving early and consulting Cornell's transportation page here. A: Please pack a snack and a refillable bottle of water (and your sense of adventure!) - we'll provide shirts, notepads, pens, schedules, and more. Additionally, make sure that you've completed your liability form electronically and have paid through PayPal already, or that you are bringing the day-of fee ($30) in cash on the day of the program. Unfortunately, the University does not allow us to accept any students for whom we do not have complete liability paperwork on file. A: Splash will be providing lunch for students. There will be a vegetarian option. If you have specific dietary needs please let us know. For parents, there are many excellent places to eat both on and off campus. We at Splash recommend the School of Hotel Administration's Taverna Banfi on campus, but Ithaca has many options to offer as well. A:Yes! Please fill out the financial aid application during student registration. Q: Where is this program being held? A: All Splash! 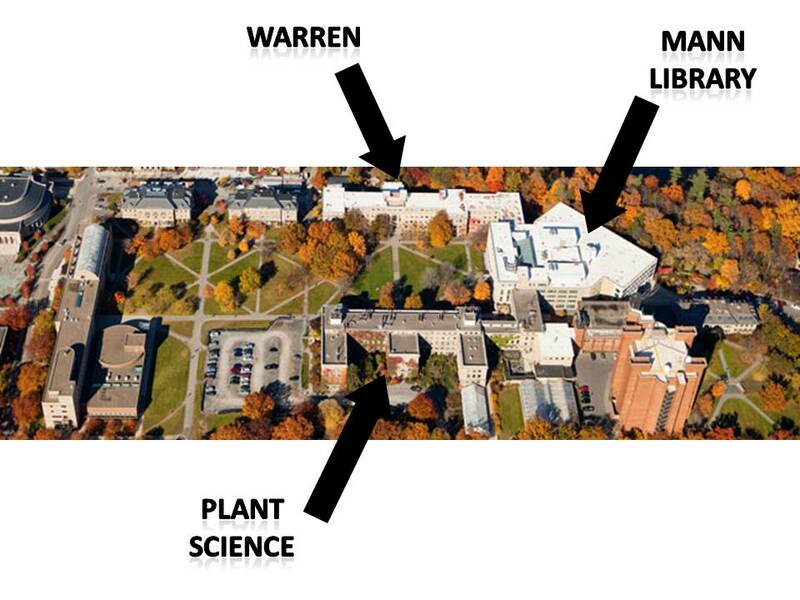 Fall 2017 classes and events will be in three connected buildings on the Cornell Ag Quad, namely: Warren Hall, Mann Library/Hall, and the Plant Sciences Building. Student schedules will include locations for every class. Q: Are my parents supposed to stay? Q: Can I switch classes during the program? A: Yes! If you'd like to switch classes, please make your way to the Help Desk (in the Plant Sciences Building lobby, right by check-in) for assistance. Q: I requested financial aid but haven't received any confirmation yet. A: Please contact us at splashcornell@gmail.com with as much information as possible, and we will get right back to you. Q: What should I do when I'm done with all my classes? A: We'll be collecting feedback forms and giving out cookies in Plant Sciences 233 (our keynote location), at the end of our program at 5:50 p.m. If you'd like to be picked up early, please arrange to meet in the Plant Sciences Lobby. Q: I've never been to a Splash! event before... help! A: Have no fear! Splash! is meant to be a fun experiment in learning what you want to, just because you want to. If you've never been on a college campus before, the buildings and students can seem intimidating at first, but you'll find that the areas we've picked at Cornell aren't too hard to navigate and that there's always a volunteer in a bright red Splash! close by. Above all, remember Douglas Adams' timeless advice (Don't Panic!) and that there's never such a thing as a silly question. See you soon! Last modified by Nimue72 on June 29, 2017 at 02:09 p.m.